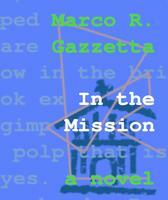 Fresh from the success of In the Mission, I decided to start working on the novel’s successor. There were so many loose ends in the first installment, it almost felt like the first Matrix movie – the story and the plot made sense on their own, but you just wanted to know what happened after that. It’s funny how every reader seems to pick up on a different “loose end:” There is the story of the Archbishop who proposes an exchange because he thinks the kidnappers are really after him – one reader wanted to know what happened with that before any other comment. Another reader was wondering why the storms happened three days ahead of the lady’s death, and how she would have known to cause them, or them to need to be caused. My copy editor’s last comment was that she wanted to know who gave Paul the riddles. I admit to two things here in this post: first of all, those questions are all plants; I planted them because I wanted to write a continuation, because the story was too big as it is, and because I was afraid that 500 pages would tax the patience of my readers (so far, so good). After that first confession, I also admit that it was incredible fun to find places to plant things and hints. The questions unresolved, as The Matrix shows, contribute to the suspense: you will never really know which of the things you are told end up being important in the plot. I will innocently admit: the first time I read the Gospels as a “novel,” I was horrified. The story had giant holes, contradicted itself here and there, and seemed to veer towards the end with no sense and rhyme. Instead of having the giant hulk of artistic accomplishment of the Torah, this seemed an amateur effort at best. The language was poor, the connection between sentences even worse, and the logic of the story was somewhat haphazard. Since I do not want to give away what is one of the most important pieces of the plot, I will talk about a somewhat similar problem. The Gospel of Mark, which is now recognized as being probably the oldest of the four, presents one particular set of events in a very strange light, and some people have tried to explain that strange light in… let’s say, unconventional ways. 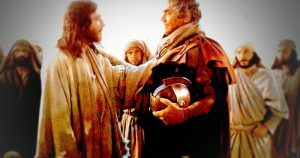 Here is the story: when Jesus is arrested in Gethsemane (one of the most dramatic scenes in the plot line), Mark mentions (14:51-52) an unknown (to the reader) “young man,” who is wearing nothing but a linen garment (of the kind used to clothe corpses, apparently). When he is about to be seized, he takes off the garment and runs away naked. Presumably, the captors were trying to pull him by the cloth. Happy to have finished yet another novel, this time I felt confident enough that I sent it to a series of friends and acquaintances for feedback. I sent out about 12 copies, and waited for feedback. To my horror, 8 didn’t respond at all, even after prodding and asking – I assumed they had hated it so much, they wouldn’t even want to talk about it. 4 of my readers, though, came back with enthusiastic feedback and I was a little puzzled. In hindsight, the 8 that didn’t respond probably never read the book and felt bad about letting me down (at least I like to think so). Reminder to oneself: if you can’t follow through, say so; if you don’t say anything, the other side has nothing to go by and will assume the worst. Or, in other words, the worst form of communication is silence. While the feedback was more or less enthusiastic, my test readers revealed a series of flaws that gave me pause. The most important one, in hindsight, was the Name of the Rose effect. That’s what I experienced when I read the book, The Name of the Rose by Umberto Eco. A fantastic mystery novel, it pushes you forward, wondering what’s going to happen next – until the moment where the mystery is revealed, a fire breaks out, and we all want to know who lives and who dies in the fire. Well, Umberto Eco decided to put a list of all the invaluable books that perished in the fire in that final part. There are pages and pages of books listed, things that we lost over the millennia, things that we would love to have – but in that particular space, they don’t matter. We want to know if the hero lives on, if the villain dies. That same thing happened to me: the crucial part of the information, the most important revelation in the whole novel, was at the very end of the story – clobbering a passage that was otherwise devoted to our heroes. In 1998 I was working as an IT consultant for mid-size businesses in Germany. The business was starting to take off, what with mid-size businesses not being able to affod a full-time IT person (back in the day). I was at the point where I had to decide whether to expand the business, but before taking on responsibility for someone else’s income, I decided to try something out. I just finished writing a book, the Handbuch der Theoretischen Philosophie, which I needed to edit. I took two months off and decided to fly out to America to do the editing as a form of vacation. I fell in love with country and its people, and a few months later I was back, hired by a wonderful (and now merged into oblivion) company in Portland. A year later I had to change jobs and ended up in San Francisco. The reason was that it was where the jobs were, and the buzz of the Internet was hard to ignore. I joined one startup, went for one of the big Internet companies, then some more startups. The constant: work, work, work. In one particular startup, my Saturday nights consisted of going to the servers for six months, every single week, from 8p to 4a. This on top of a regular work schedule of 10-hour days. Well, now that my novel, In the Mission, is out and available, I thought it might be a good moment to write about the writing process. You know, a little like a making of DVD bonus feature, only you have to read it instead of watching it. How did I come up with it? Well, In the Mission has a long story. I started thinking about it in the mid-90es, when I was young and crazy. I lived in Cologne, Germany in a giant apartment with a bunch of friends. Germany was being unified, dance parties were all the rage, and most of my friends were much older than I. The three things combined in an unexpected and very moving way. While Germany’s two legal systems of the West and East had to be merged, discussions about Paragraph 175, the anti-homosexuality section of the Penal Code, were under way. Should the West German paragraph be retained, or all reference to homosexuality as a crime be removed from the penal code? Should the result of German unification be that gay people in the East would formally lose civil rights?